Available Saturday to Saturday during school holiday periods only. Our caravan is only let out a few dates of the year to ensure it is kept clean, tidy and well looked after. A £100 non-refundable deposit is required to secure your dates within 7 days of your booking enquiry. The balance along with a £50 refundable bond will be required 8 weeks before your holiday. Thank you for your interest in our lovely family owned caravan, please don't hesitate to ask any questions. Our family owned 6 berth caravan for rent on Primrose Valleyis situated just 2 mins walk from the main complex, convenience store, beach and parks in the highly sought after area of Wildflower Meadows where all caravans are privately owned, there are few passers-by, ideal for privacy. 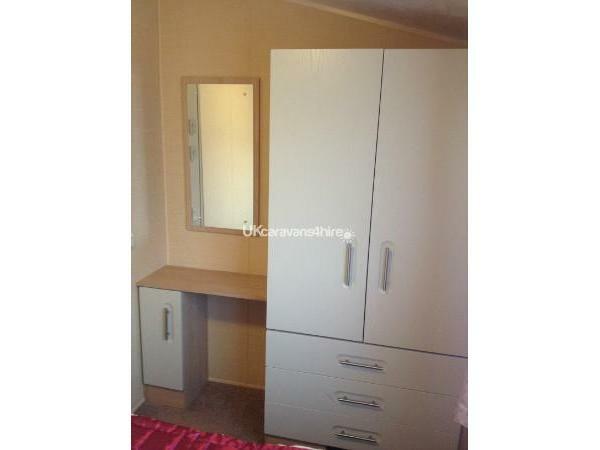 It sleeps 6 comfortably with 3 bedrooms, one double bedroom, two twin rooms. The spacious open-plan lounge and dining area has comfortable wraparound seating for the whole family. 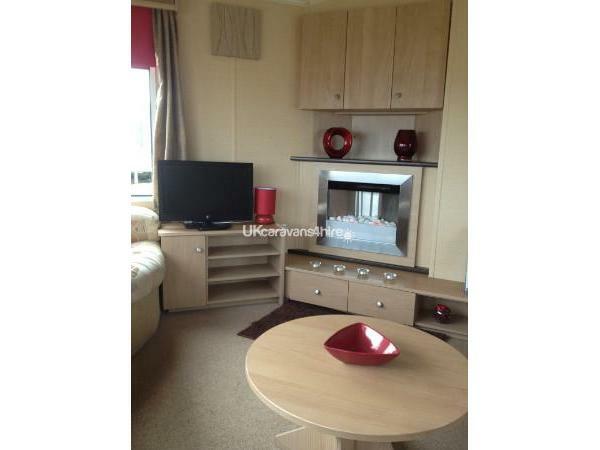 Electric fire, large flat screen TV with free-view and DVD player with a selection of DVD’s. 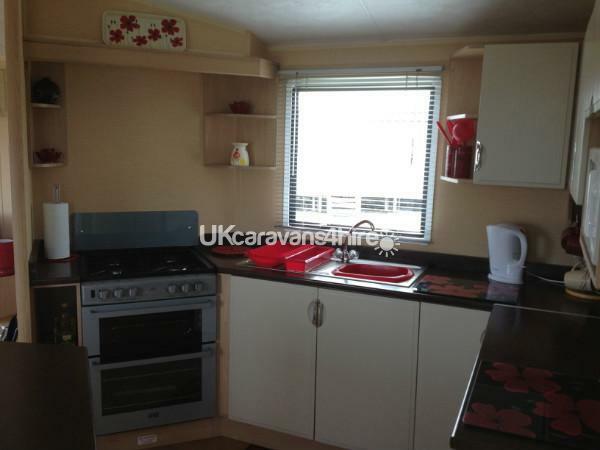 The fitted kitchen has ample work tops and cupboards, a built in gas oven, grill and hob, fridge freezer, microwave, toaster and kettle, 6 seater dining table. Full crockery, cutlery, kitchen/dining essentials. Iron/ironing board, vacuum cleaner is provided. The family bathroom has a large shower, toilet and hand basin. There is also a second toilet with wash basin. 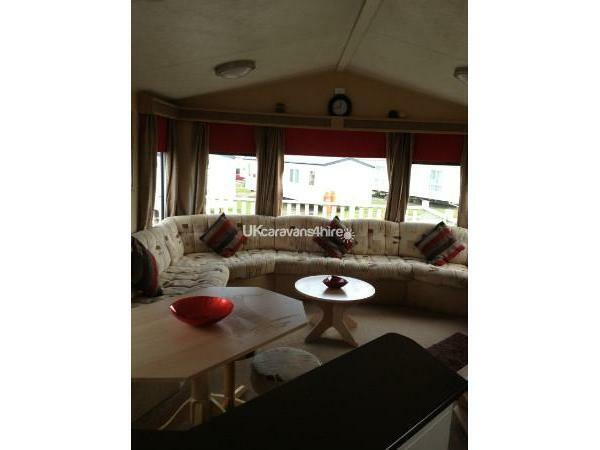 The caravan has a huge veranda with table and 6 chairs, great for relaxing in the sun or a BBQ. There is a fire extinguisher, carbon monoxide detector and smoke alarm fitted. Our well cared for caravan has all the home comforts and all we ask is you take care of it as we do and leave it as you found it, clean & tidy. 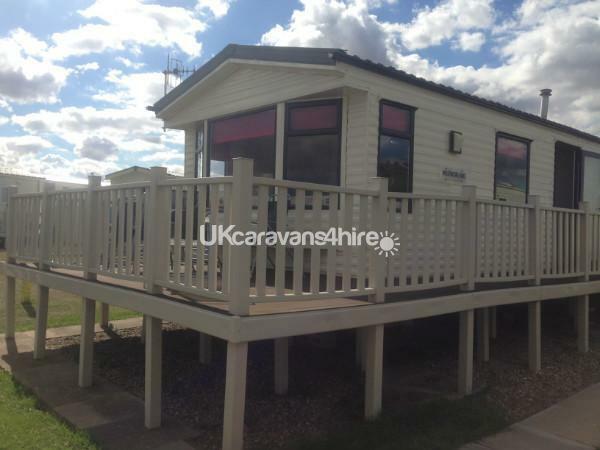 Primrose Valley is a 5* caravan park which offers direct beach access with a new lake development and golf course with non-stop activities and entertainment for all. Amenities include crazy golf, boating lake, freshwater fishing, high ropes adventure course with zip wire, climbing walls and abseiling, laser combat, go karts, family bikes and even a family funfair. There is a large amusement arcade and a wide variety of sports activities & kids clubs on during the day for young children/teens, as well as two clubs (Jesters and Show bar) which both have daily and nightly entertainment. There is also a £6 million state of the art pool complex which includes a large multi level, heated pool with fun pools and a SplashZone which include water dodgems, aqua jets, surf rider and water tots. There is also a second heated indoor swimming pool and 2 heated outdoor swimming pools. There is plenty of places to eat on site including Mash and Barrel Bar & Restaurant, Papa John's Pizza Café Bar and Grill, West Pier Burger Restaurant, Traditional Fish and Chip Shop, Starbucks Coffeehouse, Millie's Cookies, there is also a Spar Convenience Store on site. Please Note: Access to Haven's swimming pools and show bars requires Funworks passes. These can be purchased on arrival at reception. FUNWORKS PASSES ARE NOT INCLUDED IN CARAVAN PRICE. Sometimes it works out cheaper when purchasing passes to pay a capped rate for all party members in the caravan. You may just want to purchase passes that are valid for up to 4 nights only, giving you time to explore other areas off the park or to just relax in the caravan, which means you can save money on your passes. You may not even want to purchase Funworks Passes as you may just want to use the caravan as a base for the surrounding areas. Primrose Valley is situated between Bridlington and Scarborough; there are buses every hour that take you directly into Bridlington & Scarborough. There are also lots of other places on offer Whitby, York and Flamingoland are just a short drive away. There are regular buses that pick up from inside the park for various trips in many of the surrounding areas. If you do wish to use the park just for a base for visiting the local area you can still access the shops, the Mash & Barrel Bar and the outside amusement park. We had the pleasure of staying at this caravan for a week this summer, three adults and two boys aged 12 and 10. 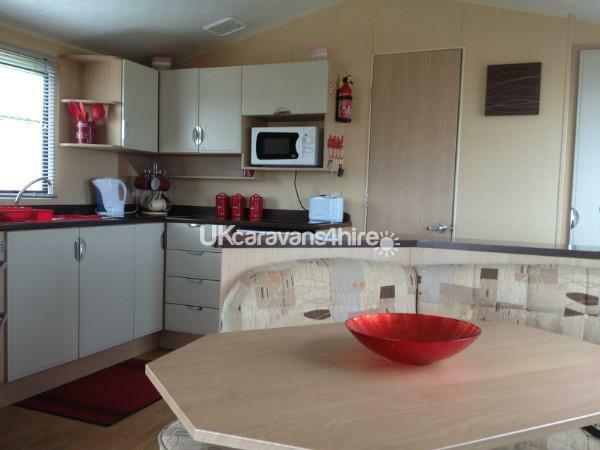 The caravan was prefect for us and was beautifully designed and well maintained with plenty of space for everyone. The kitchen was the best equipped of any caravan we have stayed in, making cooking a pleasure. For children, there were plenty of games, dvds and outdoor toys. The lounge and dining area were very comfortable - as were the bedrooms which benefited from plenty of storage space. The location of the caravan is very private, we hardly saw or heard anyone else for the whole week despite this being high season and the park full. The terrace outside is a wonderful place to sit and have a meal and enjoy the view of the sea. The owner was increadibly helpful - particularly as we were booking from overseas and had limited access to email/internet. It was also lovely to find tea, coffee, milk, toilet paper and sweets for the children left out for us when we arrived. Many thanks for a wonderful week. We stayed in this caravan for a week with our 4 year old child. 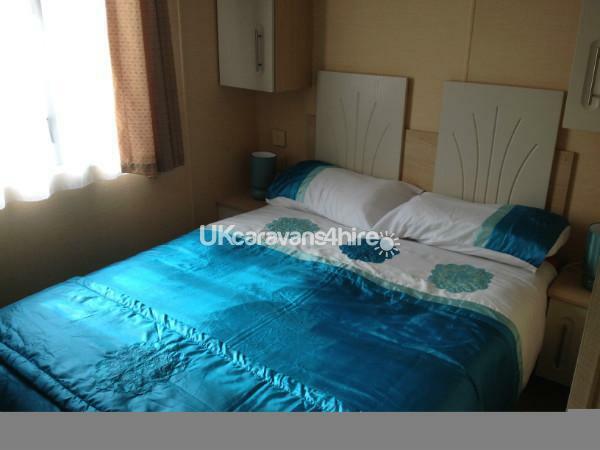 First and foremost it's a lovely caravan, spacious, homely and has everything you could ever need during your stay ready to hand. When we arrived, the caravan was spotless, all beds made up and little extras such as tea, coffee, milk, washing up liquid left for us to use. The beds are really comfy, the bedding very fresh and all fixtures and fittings are modern and there is loads of storage space. 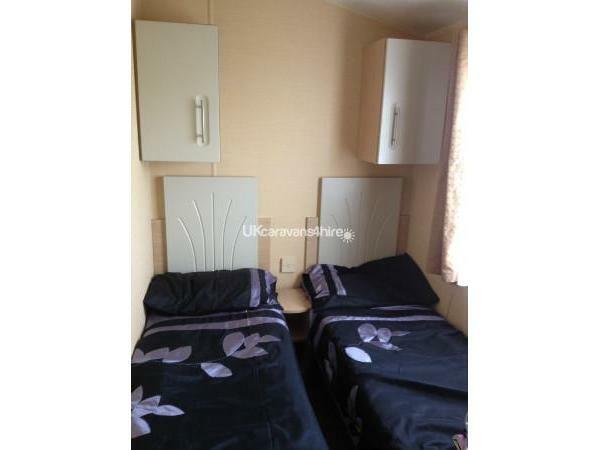 The caravan is situated in a really quiet spot which was important for us having a young child. Outside is spacious and you have a sea view which is lovely. A real plus though is that despite being in a quiet spot, the caravan is only minutes from the park, shop and entertainment venue with pool and amusements. The site is really good and well kept, perfect for a week away. We had a really lovely holiday and the caravan and site itself were spot on. Would highly recommend and would definitely go back. Thank you for such a detailed lovely review. Thank you for taking care of our family holiday home so well. So pleased to hear you had a lovely holiday and we would welcome you back anytime. Many thanks again for your booking ?? This was our second stay in this immaculate caravan. Everything we needed was available, spotlessly clean. Communication with owner is 100%, highly recommend to anyone looking at booking. Just wished we could have stayed longer, my two boys loved it, thank you, again. 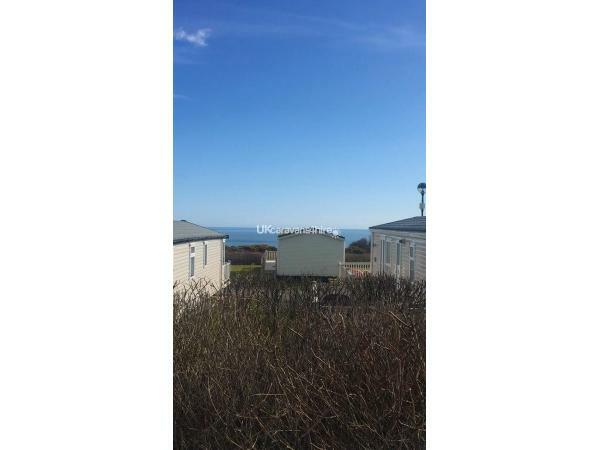 A fabulous family friendly caravan with everything you could need, great location in a nice quiet area with no seagulls dancing on the roof. Would definitely recommend to anyone. 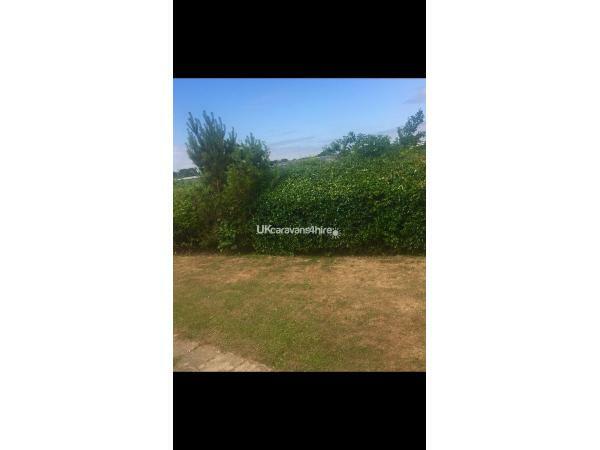 A very nice caravan in a good location and presented in a clean and tidy condition with nice little extras thrown in as described by the owners. The girls enjoyed playing some of the games and enjoyed watching some of the DVD's (on the rainy days!). Handily positioned about a 2 minute walk from the nearest childrens park and about (I would say) a 5-7 minute walk to either the Haven reception & Funworks area or in the opposite direction to the new Lakhouse area of the park. To reach the beach took us about 25 minutes. We were unlucky to experience an electric trip out during our stay but the owner was helpful with what to do about it. (and it's covered in the Welcome Pack). The owner kept in regular contact throughout the booking experience and was only a text or phone call away if there had been any problems. In our opinion it would add to the privacy of the caravan if net curtains were installed but we know not everyone likes these. The blown air heating system was really good if it turned chilly whilst getting changed etc which it did on occasions. 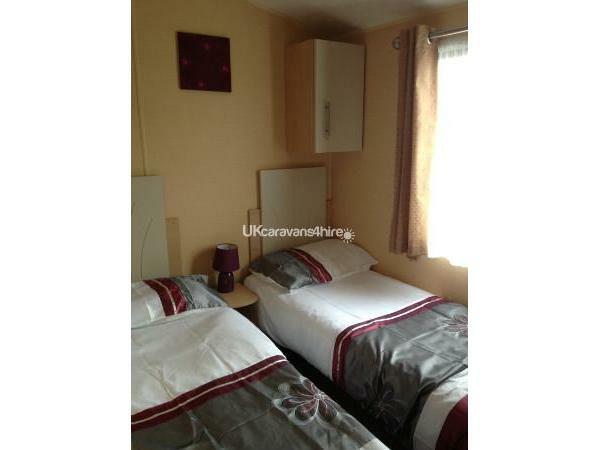 Nicely appointed and kept caravan, with extras of sweets and tea / coffee a pleasant surprise. Beds and sofa comfortable and tv and choice of games / DVDs a nice touch. Wish the weather had been better to enjoy the good location and veranda. Owners helpful when the wet windy weather caused the electrics to trip (if this could be sorted for the future it would help as I had to sort it several times). Would recommend caravan. Thank you for your review and for looking after our caravan. Yes, agreed better weather would have made your stay much more enjoyable I'm sure :/ Sorry about the electrics, what a pain! 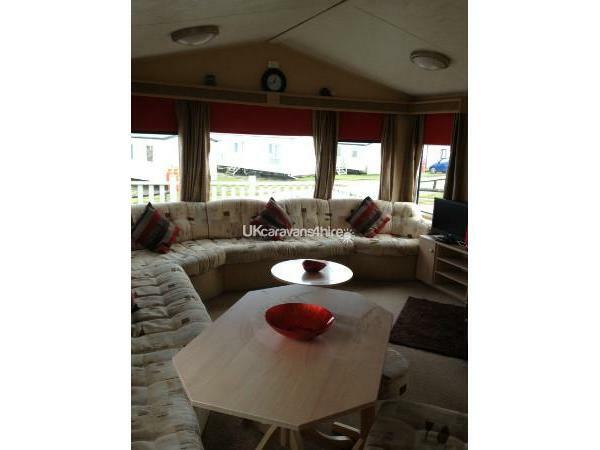 This is not just a caravan it's a home from home with lots of little extras. It's spotless, comfortable and the owner had put a lot of effort into making this more than a basic amenity. There were Haribos left for the children, complimentary tea coffee and milk for a cuppa as soon as we arrived. The children liked the DVDs and the crockery and utensils were more than adequate. Would recommend this caravan.